Please meet Freya and Scooby. Due to a change in their owners circumstances – these 2 bonded beauties are looking for a forever home together. 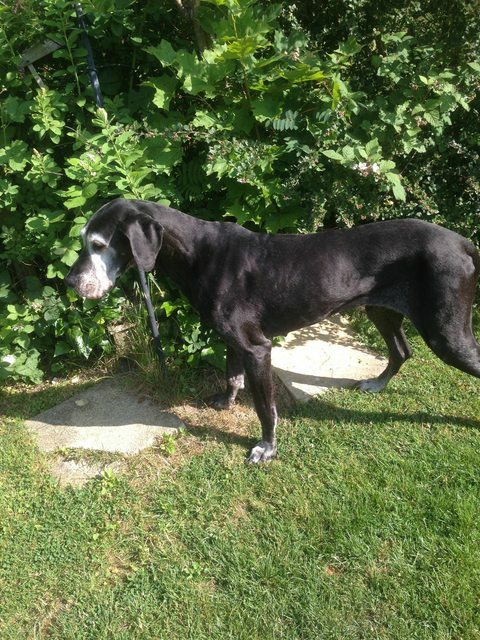 Freya is a 10 year old Great Dane – she is gentle and regal and loves her creature comforts! She has lived with very small children and cats. Freya recently had 13 teeth removed and a scale and polish. 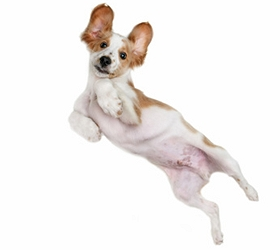 Due to her age she has some weakness on her back legs which is managed with Metacam. She is very low maintenance and asks for little other than a comfy bed, regular meals and lots of cuddles. She has been vaccinated and microchipped. 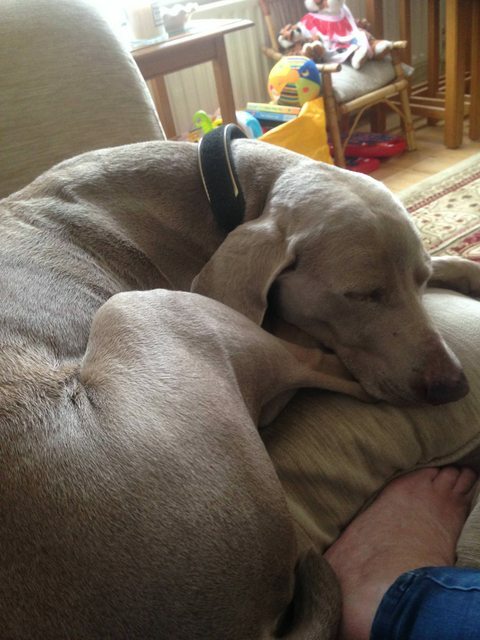 Scooby is a 10 year old male Weimaraner who has been neutered, vaccinated and micro chipped. He has also lived with very small children and cats. Scooby is also on metacam for his back legs but he still loves his walks and is quite strong on the lead initially. He is besotted with Freya and loves to curl up with her as well as have lots of cuddles with people. 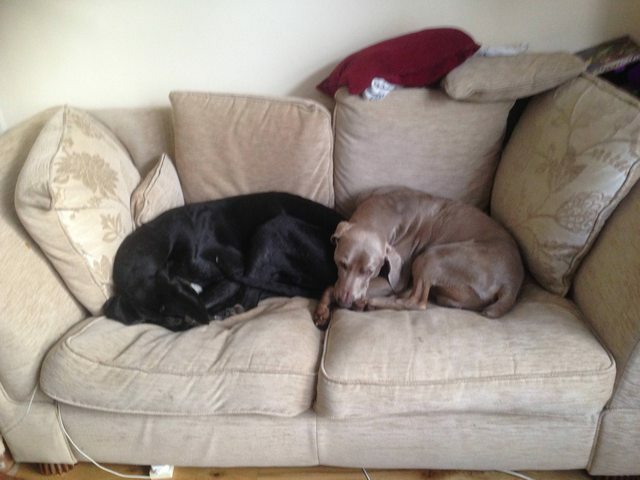 We realise finding a home for 2 older, bigger dogs is not an easy task but they are not coping in kennels and we are desperate to get them back into a home.